SunQuest Cruises is hosting the best celebrations for 4th of July in Destin Florida on the water. Offering the ultimate day and night experiences on the water, SunQuest Cruises offers everything from Crab Island excursions to fireworks and dinner cruises. In addition to daily sunset dolphin cruises in Destin, the 45 foot, sporty, water lover’s SunVenture catamaran cruises the legendary Crab Island twice a day at 10am and 2 pm. With picturesque views of the Destin bridge, Crab Island offers everything from live music and water slides to floating food vendors, paddle boarding and relaxing in the water. Crab Island is only accessible by boat. Let our captains take you to our 4th of July Crab Island Excursion at 11 am this Saturday. Family is what life is all about but sometimes it’s nice to spoil the adults. That’s why the SunVenture is offering adults only cruises every Thursday night and Saturday, July 4th at 7:30 p.m. for an incredible fireworks show on the water. 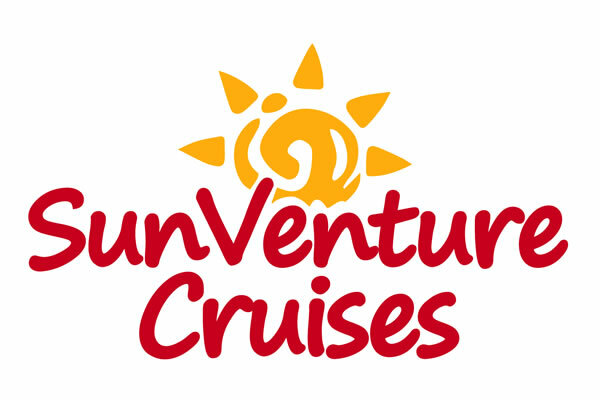 Venture aboard the SunVenture for a 1.5 hour narrated cruise that explores the beautiful Destin Harbor and ends with a BANG! Experience a magical night as the sky above you illuminates with a spectacular Destin fireworks show. For an amazing night of dining on the water, consider our sister boat, the 125 foot SOLARIS yacht in Sandestin. The SOLARIS is hosting its annual 4th of July Fireworks, Dancing and Dinner Cruise in Destin on Saturday from 6 to 9:30 pm. Docked at Sandestin’s Baytowne Marina, the 125 foot yacht will cruise into the sunset while you enjoy a cocktail and fresh coastal breezes from the sky deck. Then indulge in chef-prepared coastal cuisines featuring everything from Beef Filet Mignon and Fresh Rosemary Chicken to seared Gulf Fish, Southern Crab Cakes and Gulf Shrimp & Grits. Dance to live music and end the night with the best seat in the house as the sky above you illuminates with colorful fireworks. The SOLARIS also hosts Fireworks and Dinner cruises every Tuesday and Thursday from 7 – 10 p.m. Embark on the luxurious 125 yacht SOLARIS yacht for an unforgettable Fireworks and Dinner Cruise. Your evening begins with a warm greeting from the captain. Explore all three indoor and outdoor decks of the spacious yacht. Grab a cocktail from the full-service bar and head to the open-air sky deck for unparalleled views of the Sandestin Resort and the open waters. As we cruise into the sunset, enjoy the coastal breezes, the relaxing mood and perhaps even a dolphin sighting. Meanwhile, the SOLARIS chefs are preparing a three course, coastal cuisine meal on-board the yacht’s galley. Enjoy warm bread and salad as well as your choice of entree from prime steaks to fresh, locally caught seafood. Dance under the stars to live music by the house DJ. The evening ends with a bang as the sky above you illuminates with fireworks from the Sandestin resort. Whether you’re seeking a romantic dinner or fun for the family, this is one cruise you will never forget. Reservations required online or call 850.650.2519.